Evigshed inc is pleased to announce the release of their debut casual game called Square Pong Monsters available on App Store right now. 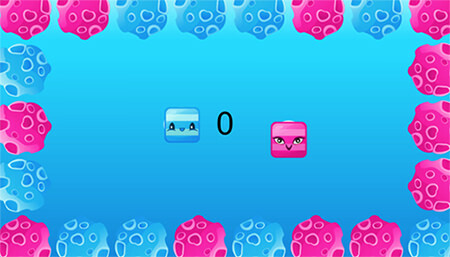 In this highly addictive game, the idea is simple and challenging. When two monsters are moving around. Touch/Click the planet to change the colour between blue and pink. The cute little monsters have to be hit the right colour and you will get 1 point. If it is not, the game is over. Square Pong Monsters is available here.